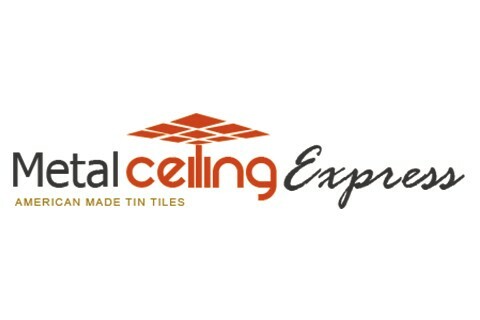 Metal Ceiling Express is a Palmetto, Florida based manufacturer of authentic decorative metal ceiling tiles, panels and backsplashes. Our tin ceiling tiles, panels, backsplashes, and accessories are of the highest quality. We follow a strict stamping process to ensure that all tiles are produced perfectly and are manufactured to be historically correct. Our decorative tin tiles are available in unfinished metal in over 40 patterns or can be ordered in a large variety of 100 powder coated colors. You can also order faux hand-finished antique or vintage look tin ceiling tiles. Please see our colors page for additional details. Our tiles are suitable for nail-up installation, drop-in installation, deep-drop–in installation. Our decorative tin ceiling tiles are suitable for hundreds of applications. From warehouses to restaurants to libraries to home usage, the applications are virtually limitless. We ship our products across the United States of America and all parts of Canada. Call us at 941-723-2288 to find out about ongoing promotions and shipping discounts that are currently being offered. We are proud to be a 100% American tin ceilings manufacturer!